The 112th American Society of International Law’s annual meeting (4th-7th April 2018) will focus on the constitutive and often contentious nature of ‘International Law in Practice’. Practice not only reifies the law, but how it is understood, applied, and enforced in practice shapes its meaning and impacts the generation of future international rules. In preparation for this year’s meeting, we have asked some key authors to share their thoughts on international law in action. How and by whom is international law made, shaped, and carried out? In the standard account, the International Criminal Tribunal for the former Yugoslavia (ICTY) epitomizes top-down lawmaking or, more precisely, lawmaking by elites far removed from communities affected by their work. Created by the UN Security Council in 1993, the Tribunal’s path breaking jurisprudence was fashioned by judges in The Hague, none of whom were citizens of former Yugoslav states. Yet this account obscures myriad ways in which survivors and other domestic actors engaged with the Tribunal and defined its legacy. Chronicling the ICTY’s evolving impact in Bosnia-Herzegovina and Serbia, my recent work has sought to illuminate citizens’ contributions and responses to the Tribunal’s work, as well as the central role of national jurists in creating the ICTY’s most tangible legacy—domestic war crimes institutions. This approach also highlights the crucial roles of national, regional, and local political elites, along with external actors like the European Union, in shaping Bosnian and Serbian experiences of Hague justice. Legal innovations associated with the Tribunal, as well as the nature of its domestic impact, were forged through the dynamic interplay of myriad actors in multiple spaces. Diane Orentlicher, Professor of International Law, Washington College of Law, American University, author of Some Kind of Justice: The ICTY’s Impact in Bosnia and Serbia. What impact do the practices of international institutions have on the generation of international rules? In setting up a new international organization, the parties are likely to assess whether the practices of existing, similarly-situated international organizations have created international norms to be respected. For the Asian Infrastructure Investment Bank (AIIB) in 2016, the charter incorporates common elements of earlier multilateral development bank (MDB) treaties as well as innovations that reflect AIIB goals and evolving MDB experience. MDB practices are also influencing AIIB legal and policy frameworks, such as loan contract provisions with sovereign states, requirements for environmental and social assessment and consultation, accountability mechanisms for project-related complaints, internal and external anti-corruption functions, and staff dispute resolution bodies. Beyond the legal ramifications, there are pragmatic and strategic reasons for a new MDB to adopt the modern rules of comparators. For a financial institution, credibility is hugely important. An organization that carries forward a base that is workable, known, and generally respected offers reliability to governments, financial markets, and potential recipients—even as particular improvements may call for added scrutiny. The commonality of requirements also facilitates collaboration among new and old institutions and minimizes the procedural burden on client countries and companies. Natalie Lichtenstein, former Inaugural General Counsel, Asian Infrastructure Investment Bank and Assistant General Counsel, World Bank, and author of A Comparative Guide to the Asian Infrastructure Investment Bank. Where states did not originally envision that human rights law would be implemented by international institutions, it is now clear that the operationalization of human rights requires a wide range of global governance organizations. The United Nations human rights system has a mandate to implement human rights law, yet it does not have the institutional competence, expertise, or capacity to implement human rights across all fields of global governance. Codifying human rights implementation responsibilities across a wider range of institutions of global governance, the 1993 Vienna Declaration and Programme of Action looked to the entire United Nations in implementing rights, with the UN Secretary-General calling thereafter for the “mainstreaming” of human rights law across all UN policies, programs, and practices. These efforts to mainstream human rights in global governance have required international institutions to translate state legal obligations into organizational policy practices. By advancing human rights under international law as a basis for public health, these international institutions have generated international rules through global health governance. Global health governance has thus become a basis to realize a more just world through public health, with an array of international institutions ensuring the implementation of health-related human rights across the range of economic, social, and cultural fields that underlie public health in a globalizing world. Benjamin Mason Meier, Associate Professor of Global Health Policy, University of North Carolina at Chapel Hill, and Lawrence O. Gostin, O’Neill Chair in Global Health Law, Georgetown University. Authors of Human Rights in Global Health: Rights-Based Governance for a Globalizing World. How has international legal practice changed (and is continuing to change) in response to geopolitical shifts and contemporary challenges? The 2015 Paris Agreement represents a step-change in international environmental lawmaking and practice. Climate change is one of the greatest challenges humanity has ever faced, and addressing it requires engaging a wide array of state and non-state actors in long-term mitigation and adaptation efforts. The Paris Agreement seeks to meet this challenge without enshrining binding environmental targets, which was the previously dominant, “top-down” approach of international environmental law. While the Paris Agreement is a binding treaty and requires parties to maintain successive “nationally determined contributions,” these contributions are not binding per se. Instead, the Agreement includes a layered oversight mechanism to trigger a regular review of and more ambitious contributions over time. The agreement’s “hybrid” design was a response to the complexity of the climate challenge and the need to bring states into the agreement notwithstanding domestic political constraints and long-standing differences over burden sharing. But it assumes a new significance in the face of current geopolitical dynamics. Rising non-Western powers seek to instantiate a “new world order,” with a renewed focus on state sovereignty. Meanwhile, major Western societies experience growing resistance to what is perceived as overly intrusive international law. The Paris Agreement’s emphasis on nationally determined commitments thus fits well with the tenor of the times. Daniel Bodansky, Foundation Professor, Sandra Day O’Conner College of Law, and Senior Sustainability Scholar, Julie Ann Wrigley Global Institute of Sustainability, Arizona State University, Jutta Brunnée, Professor of Law and Metcalf Chair in Environmental Law, University of Toronto, and Lavanya Rajamani, Professor, Centre for Policy Research, New Delhi. They are authors of International Climate Change Law, winner of the ASIL 2018 Certificate of Merit for a specialized area of international law. International law is often perceived as remote and top-down, yet it is clear that it has a major impact on the lives of individuals. It can structure opportunities for employment and movement across borders, regulate the goods we consume, and the even govern the recognition of our subjectivity. Recent political upheavals – from ‘Brexit’ to the election of Donald Trump – are not simple phenomena that can be explained by one factor. But, arguably, both are a rejection of international legal rules and institutions by communities who experience these rules and institutions as unwelcome and unaccountable and perceive their lives as full of international law’s objects, over which they have little control. We need to open international law up to those beyond the state and a small circle of supporting technical personnel, and to better connect communities and individuals to the processes of international lawmaking. The process of drafting the United Nations Declaration on the Rights of Indigenous Peoples (UNDRIP) offers an example of how international legal standard setting can meaningfully incorporate a range of actors who have, historically, been rendered powerless in and by international law. More importantly, the results – which include the Declaration, but also the process itself – demonstrate that more open practices can not only succeed but can lead to an international law that has greater relevance and legitimacy to the people whose lives it impacts on most closely. Jessie Hohmann, Senior Lecturer in Law at Queen Mary, University of London, and co-editor of The UN Declaration on the Rights of Indigenous Peoples: A Commentary and International Law’s Objects. 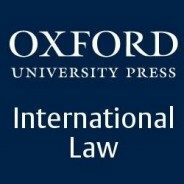 So that you can prepare for the conference or experience the debate from afar, we have created a collection of free journal articles which focus on ‘International Law in Practice’. Featured image credit: ‘New Zealand Representatives at the International Court of Justice in the Hague’ by Archives New Zealand from New Zealand. CC BY-SA 2.0 via Wikimedia Commons. Jo Wojtkowski is Marketing Manager on the Law team at Oxford University Press USA. What is the status of the Original peoples and “nations” of North and South America in international law? Were or are they “nations” in international law? Are Treaties made between them and European States recognized in international law?